After many months of rumors and speculation, Apple finally held a major event today to announce two brand new iPhones – the iPhone 5S and iPhone 5C. As expected, the iPhone 5S is the same size as the previous model (iPhone 5) and the only major external difference is the home button ring. Below, we break down everything you need to know about the main device, the iPhone 5S. 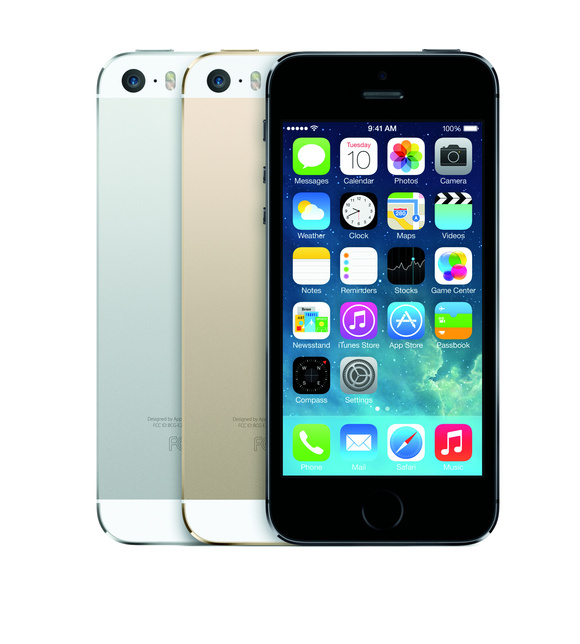 The iPhone 5S has the same unibody aluminum shell with same two-toned design and 4-inch display. It comes in three different color ways: black, gold and “Space Grey.” The gold is more of a champagne color and it unfortunately does not look as good as it sounds. The home button has a ring around it for access to the fingerprint scanner (We’ll explain that more in a bit) and actually looks great. 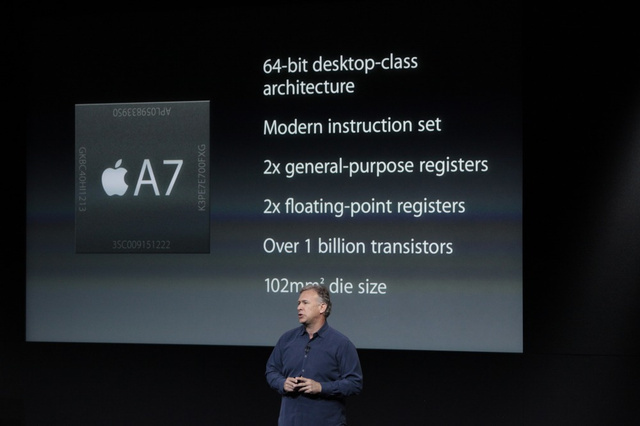 The iPhone 5S will be powered by an all new 64-bit A7 processor, which is 2x as fast as the iPhone 5! 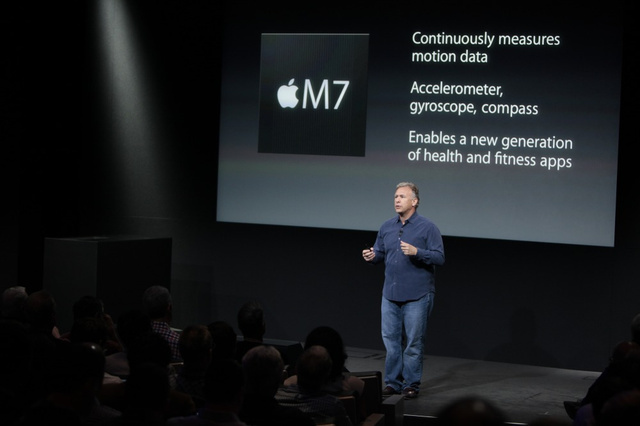 In addition to the A7 processor, Apple has also implemented a new motion co-processor called the M7. The purpose of this M7 chip is to continuously measures motion data from the accelerometer, gyroscope, and compass. This seems like it will make a huge difference when it comes to fitness apps because the device will be able to track whether or not you’re stationary, walking, driving, etc. Battery life has also improved, but not by much. The 5S will allow for 10 hours of talk time, 10 hours of LTE browsing and 250 hours of standby. As expected, the iPhone 5S will have an upgraded rear-facing camera. 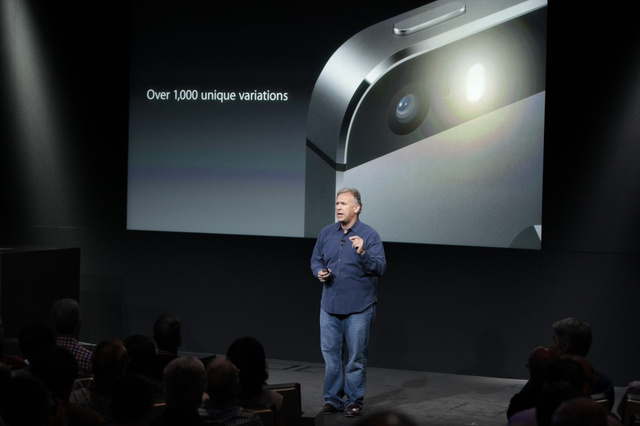 The camera will have a new five-element Apple-designed lens with an F2.2 aperture and a 15% larger sensor. This means that more light will be added to images, thus making them turn out better. So, although the camera is still 8-megapixels, the image quality will improve. The iPhone 5S also has dual-LED flash, which has been needed for a long time. The flash on the previous iPhone models has been horrible and it has been known to ruin certain pictures but now with dual-LED flash, your pictures will look more natural and balanced. The iPhone combines the two LEDs – white and amber – to create 1,000 different variations of flash and combines them to get the right color balance. Two more cool things. One: Slow-motion video has been added to the phone so that you can shoot 720p HD video at 120 fps. Second: The 5S camera also has a new burst mode option that will allow the user to capture 10 frames per second and the device will choose the best shot for you. This has been something that has been talked about for many, many years and now it’s finally here – a fingerprint scanner! 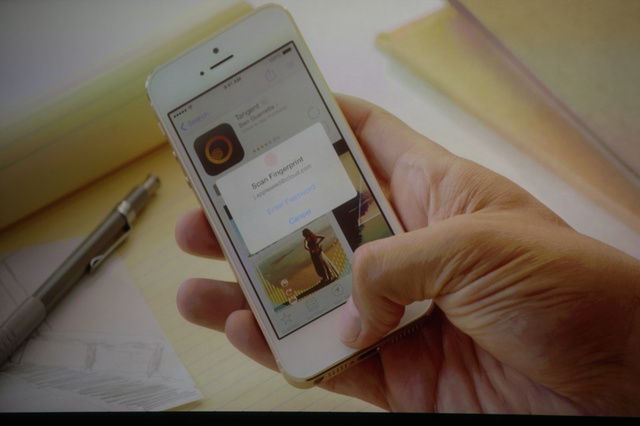 The home button on the new 5S will serve as not only the home button, but also as a fingerprint scanner. The feature is called “Touch ID” and it will allow you to unlock your device by simply putting your thumb on the home button. The little ring around the home button will detect when your finger is on it so you don’t have to push down on the button. You can also set it up to read multiple fingerprints if you maybe share a phone or want somebody to be able to get into your phone from time to time. 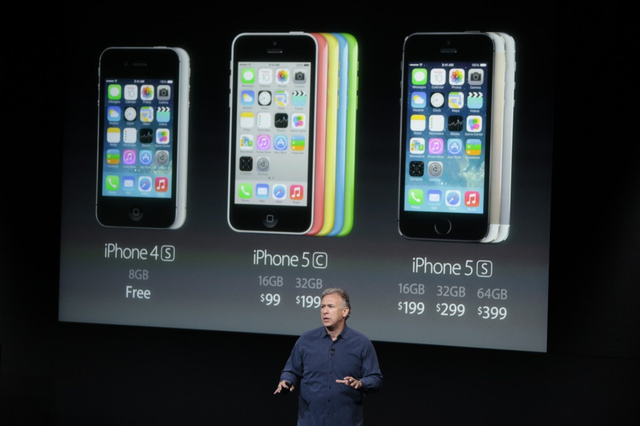 As with the 3GS and 4S, the iPhone 5S will be the same price as the iPhone 5 was. The 16GB will cost you $199, the 32GB version will cost $299 and the 64GB version will cost $399. These prices are all based on a 2-year contract with AT&T, Verizon and Sprint. The iPhone 5S will be available for pre-order on Friday, September 13th and will hit stores on Friday, September 20th.